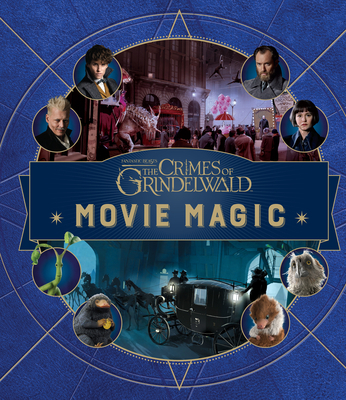 Packed with captivating facts and incredible images from the making of the film, this book features kid-friendly behind-the-scenes looks at the characters, magical locations, beasts, and artifacts seen on-screen. This interactive volume will also come filled with bonus inserts--from maps and posters reproducing props from the film to lift-the-flaps and stickers. Jody Revenson has written extensively about the Harry Potter films. Her most recent books are J.K. Rowling's Wizarding World: Movie Magic, Volume One, and Harry Potter: The Artifact Vault. In her first foray into the wizarding world, she edited and contributed to the New York Times bestsellers Harry Potter: Film Wizardry and Harry Potter: Page to Screen.